I love the addition of Brusho Crystal Colour to our catalogue. If you haven't heard of Brusho Crystal Colour it's basically watercolour crystals that you use in your watercolouring projects. You can either sprinkle onto wet Watercolour Paper, or sprinkle onto dry Watercolour paper and spritz with water (watching the colours pop into life before your eyes), or just mix in a pot with water to create amazing shades for painting with. I've had so much fun with Brusho!! 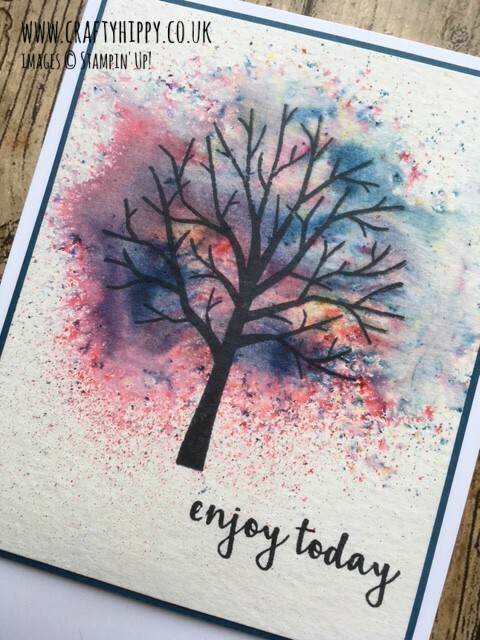 Before I made this tree card using the Sheltering Tree Stamp Set, I had just created a tree picture with Bonus (step) Daughter #2. 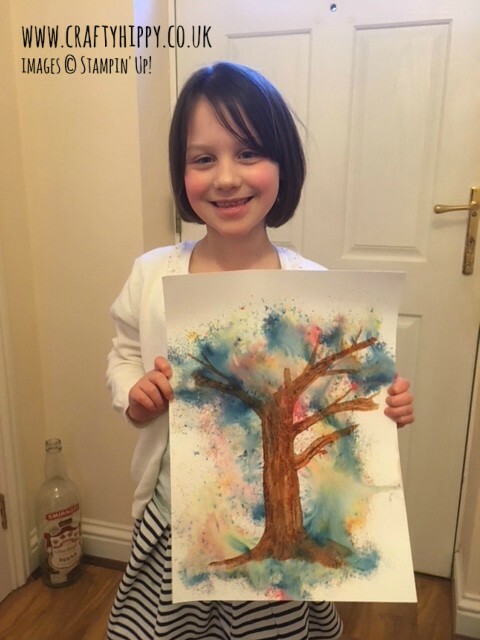 I painted a tree trunk and boughs using ordinary watercolour paints and then BD#2 sprinkled the Brushos onto her picture. If we did it again we'd probably add more colour to the top of the tree, but we were very happy with our first go. As you can see I have used mainly the Prussian Blue and Brilliant Red shades for my creation. There are 5 pots in our set of colours. 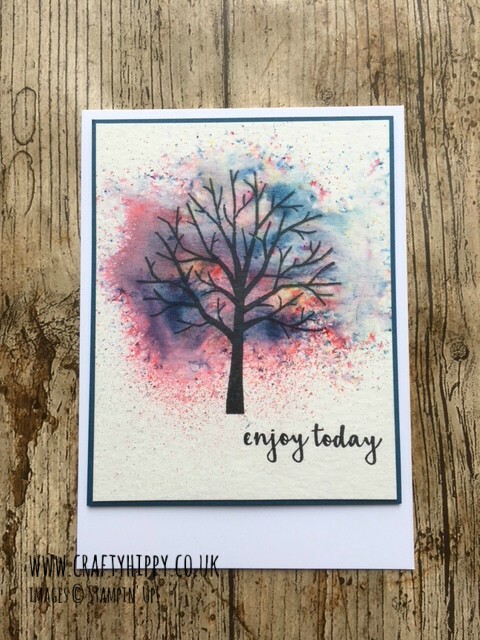 The sentiment is from Pieces and Patterns - I love this sentiment and have been sticking it on everything recently!